In her column ("Snake River salmon: Let's get it right this time") May 14, Sam Mace echoes other shortsighted hydropower critics who are crowing about a recent court ruling with huge implications for renewable energy, fish and commerce in the Northwest. The ruling by U.S. District Judge Michael H. Simon ordered the government to once again redo its plan for operating the Northwest's eight federal hydropower dams while minimizing impacts on protected salmon stocks. Simon even suggested that further study of removing four dams on the Lower Snake River in Washington should be considered. Anti-hydro activists call the ruling a path forward in the long-running debate over salmon restoration. In reality, it puts the Northwest back on a well-worn path of analysis and litigation that will do little to help salmon now, while undermining the hydro system that provides 90 percent of the region's carbon-free electricity and enables the use of other renewables. At the same time, these activists continue to peddle a demonstrably false fish tale: that solar power and other renewables could replace the reliable carbon-free energy produced by the Snake River dams. The government's salmon plan, called the Biological Opinion or BiOp, was backed by an unprecedented coalition of three out of four Northwest states, including Washington, nearly all of the region's tribes, National Marine Fisheries Service, Bonneville Power Administration, U.S. Army Corps of Engineers, the Bureau of Reclamation and numerous ports, utilities and other river users, including Northwest RiverPartners. In rejecting the BiOp, the judge seemingly bought into the false claims that dam removal is a silver bullet for restoring salmon. Yet the Snake River dams affect only four of the 13 species listed for protection under the Endangered Species Act. For the young salmon who do pass by these dams on their way to the ocean, survival rates are incredibly high: 97 percent on average, similar to survival rates in undammed rivers. 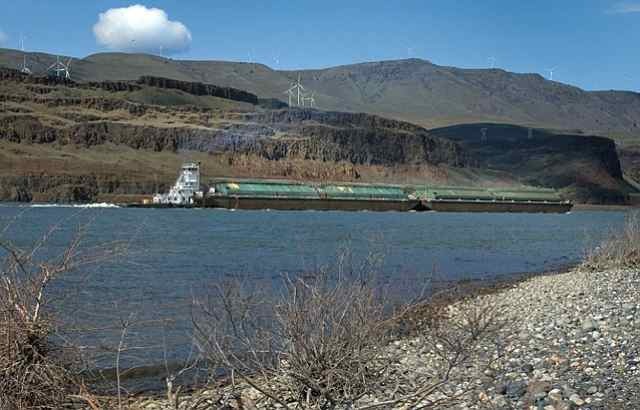 And let's not forget the effects the Snake River dams do have -- on the region's economy: They enable 3.5 million tons of cargo, worth $1.5 billion, to move by river to regional and world markets each year. Federal agencies already have spent millions of dollars and many years studying dam removal -- and rejected it, based on science that concluded it might provide some benefits but wouldn't be enough to recover the salmon. More study could take another decade, while providing no direct benefits for fish and diminishing this region's biggest source of renewable energy: hydropower. Unlike the much smaller Elwha, Condit and Marmot dams -- regional dams that produced minimal power before they were removed -- the Snake River dams produce enough clean energy to power a city the size of Seattle every year. Activists who say solar and other renewables could easily replace these dams' carbon-free output are selling a fantasy. It's not a matter of quantity; it's about reliability. Hydropower is what integrates other renewables into our power system, by backing them up when the wind doesn't blow and the sun doesn't shine. We simply can't maintain a reliable power system by removing constant and controllable power from dams and attempting to replace it with intermittent and uncontrollable power from solar and wind -- no matter how much solar and wind we have. Independent analysis confirms this: According to the Northwest Power and Conservation Council, removing the Snake River dams would require replacing them with energy from carbon-emitting coal-fired plants and natural gas, adding 3 to 4.5 million metric tons of carbon to Northwest skies each year. If these so-called fish advocates are truly concerned about climate change, the last thing they should be calling for is dam removal. It's time to move on from this myopic focus on dam operations and removal. The focus should be on measures that can actually help the fish and move the region forward. We need to look at all the factors that limit salmon survival, including poor hatchery practices and overharvest. It's notable that some of the loudest critics of the BiOp and the Snake River dams are fishing groups. They could simply agree to reduce their catch, which would allow more adult salmon to return to their native spawning grounds and produce more generations of fish. It's no wonder they want to keep the spotlight on the dams. Terry Flores is executive director of Northwest RiverPartners, an alliance of farmers, utilities, ports and businesses, based in Portland.